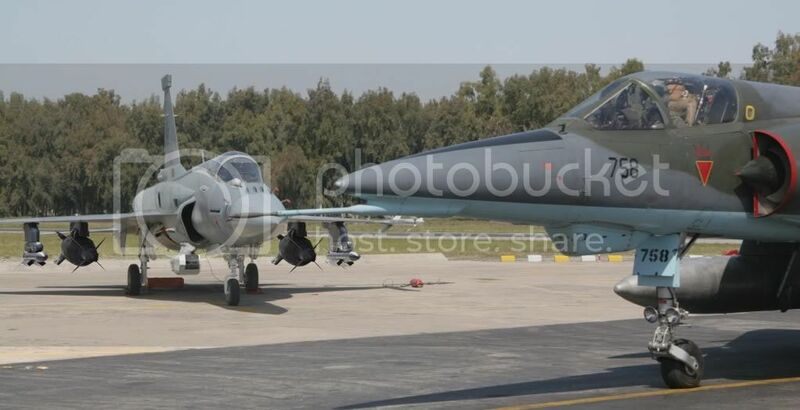 [BBN-Defence Reporter] Jf-17c Block II seen here at a PAF air base. Jf-17, though considered to be a small and agile fighter, has to be the work horse of PAF and that means adaptability to all kinds of Missions and scenarios . Short Range of Jf-17 has been taken care of by adding CFTs, which increase the fuel carrying capacity by 35 %. Much work has been done on integrating advanced weapons on this new block of JF-17. As is shown here, a fully armed JF-17c with 2x 2000 lb LGBs, 2x Meteor AAMs , 2x Pl-9 AAMs and targeting pod. Upgradation of avionics sure was of utmost importance. Visible exteriorly are a new IFF, and IRST and a new AESA Radar, indicated by that breech just behind the Radome .